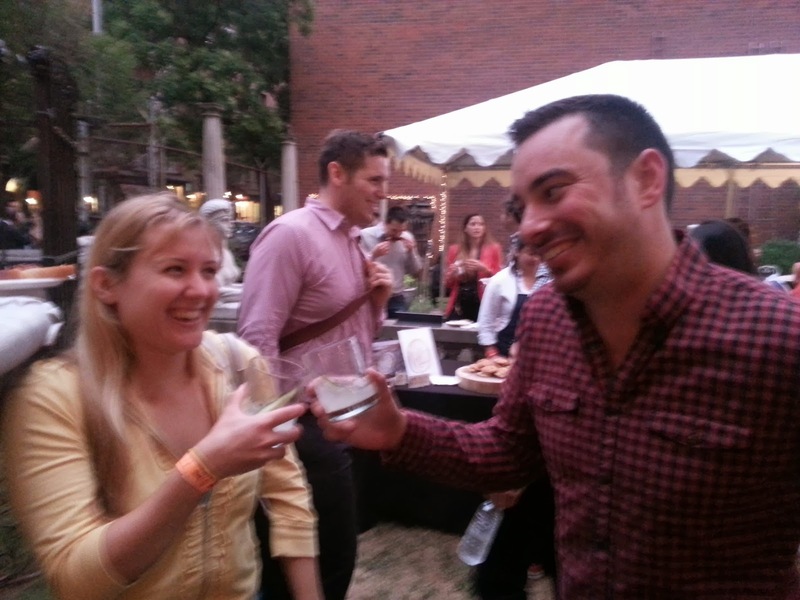 One of the featured cocktails at the event was made with Monkey Shoulder (the "Summmer Jam". See Susannah's post for the recipe). Attending the event was a voluble and fascinating young Englishman named Freddie May (@oloroso) who reps Monkey Shoulder (among other interesting whiskies and spirits) for William Grant & Sons. We had a fascinating conversation about whisky: maturation, mashing, barrel management and the William Grant operations. Stuff like that. My whisky geek monkey bone was tweaked. I subsequently sought out Freddy May to see him do a tasting of the Tuthill Hudson line at The Astoria Whiskey Society (the subject of a future post). 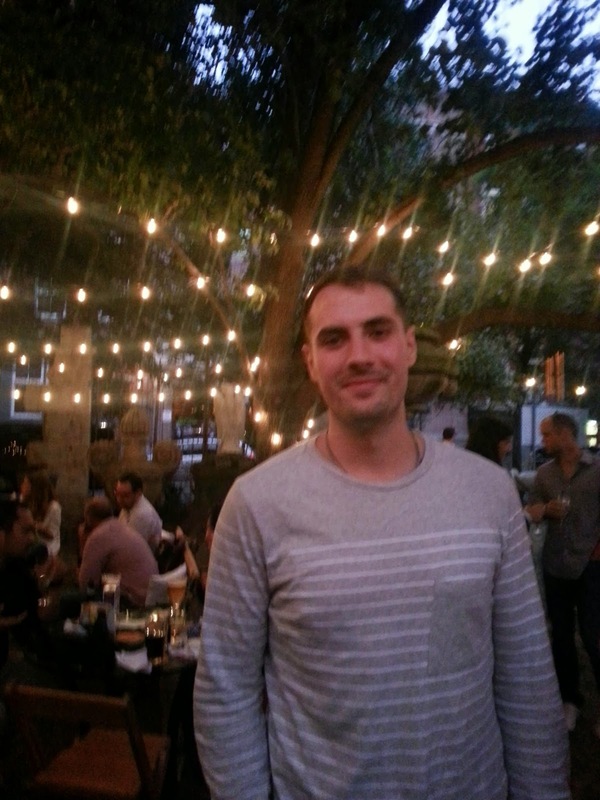 Also at the barbecue was a young man named Nicholas Rotondi, who works at PR firm Exposure. Nicholas has been a part of a lot of fun evenings lately (which is another story entirely). Nicholas' role in this story was to express some surprise that I hadn't tasted Monkey Shoulder straight. He kindly sent over a bottle for review (thanks Nicholas). 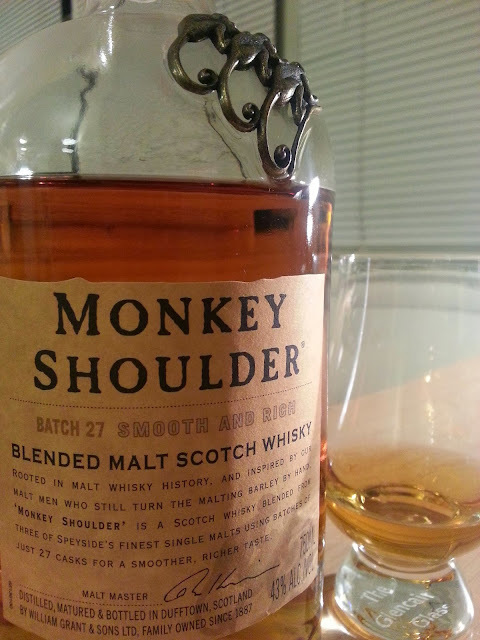 As in the manner of the Zeitgeist, I found myself encountering Monkey Shoulder again and again in the weeks that followed. As it happens it's in my glass right now - and it's a value for the money champion with a few interesting wrinkles to its tale. Monkey Shoulder is a blended malt composed primarily of whisky made at a small distillery near Balvenie (and operated by the William Grant & Sons - the same parent company) called Kininvie. Kininvie, built on July 4th 1990 is on of the newer distilleries in Scotland - and Monkey Shoulder is one of the few ways to taste it (there are only a handful of single malt editions). Most of its output initially went into Clan MacGregor. Kininvie is only a few hundred meters away from Balvenie, and it doesn't have its own mash tuns. It gets its mash piped from Balvenie. Kininvie was mothballed in 2011 but then re-opened in 2012. Now Monkey Shoulder is primarily Kininvie, but it also has malt whiskies from Balvenie and Glenfiddich as well. It's a NAS vatting - but the age of the whiskies is around 8-9 years of age. The "Batch 27" on the label apparently refers to each batch being vatted of 27 individual casks of whisky. The casks used are exclusively ex-bourbon - and it shows in the color and the flavors which are honeyed and malty - without any sherry influence. At $30 to $35, Monkey Shoulder is priced comparably with mid-range luxury blends like Chival Regal and is a few bucks less than Johnny Walker Black Label. Monkey Shoulder Batch 27 43% abv. Nose: Honey, malt, heather, floral bloom, wax, apple, green melon, hint of anise. There's also a bit of distant musky almost meaty animal smell behind those sweet fruits. All of these elements are gentle and light - yet sweet and satisfying. It's a very pretty nose. For the price it's stunning. The palate after a sufficient amount of airing (20 minutes) is malt sweet on entry, with vanilla pods and florals. Honey and honeycomb wax big - with an attractive aspect of Speyside classic apple pear and melon fruits. Warm and malty on the expansion with some white pepper. 43% isn't the norm at this price and it brings some richness and a bit of intensity that I greatly appreciate. The finish is gentle and relatively short. But this doesn't come off as too young. The spirit heat is well integrated into the malty richness. Sweetness and fruits with a relative absence of oak tannins or bite are the hallmarks of youth here. The palate isn't huge, but the sins are of omission rather than commission. This comes off as a quality highland malt with a classic Speyside profile. You can taste the Glenfiddich and the Balvenie in it in the green fruits, honey, and sweet balance. It's a fine malt to relax with, at a price that you can use heedlessly. I've had the opportunity to dram it in a variety of circumstances and its gentle sweetness is immediately appealing with people new to malt whisky. Yet there is enough going on to satisfy experienced malt fans (as long as they don't have their peat freak or thinking caps on). Gentle, sweet, fruity and appealing. Easily recommended. Sure thing Susannah! I've seen some very pretty jewelry indeed made with those monkeys. It's definitely a cool thing about the brand. Josh, I just discovered that as Freddy May makes it clear here Monkey Shoulder does not need to be Kininvie + Glenfiddich + Balvenie, as it originally was. They just say "three Speyside distilleries", on the bottle and website. We of course will automatically think it's KGB, but for all I know it could be Tormore + Glendullan + Tamdhu, or whatever they could get their hands on. Did any of this come up in your conversation with Fannie Mae? Also, it's Kininvie, not Kinivie. I myself made this mistake until, basically, now, although occasionally I thought it was Kinnivie. Having ordered my first bottle in UK 2-3 years ago before it was available in the US, I must say that it's not as good anymore as it used to be, which is a bummer. Still, not alone in that category, and quite good for the price. Florin, honored to have you post a comment on my blog. Thanks so much for correcting my spelling of the distillery. I'm not normally so careless. I may have been drinking. I'll correct the text of the review immediately. Freddie May told me quite a few things about Monkey Shoulder and I vaguely recall him saying something about the flexibility they reserve to adjust he exact formulation as they see fit. Certainly the link you provide has May saying point blank "Occasionally using other distilleries in the mix, but always three Speyside distilleries and always in first fill American oak". That being said, the bottle I have taste very very much like Glenfiddich and Balvenie. Of course I'm not tasting blind and that's my expectation. I'm very excited to try the single malt Kininvie 20 being marketed in Taiwan. I hope I can swing a sample. I think it will very interesting to taste that whisky on its own. Of course a lot of people seem to have this same idea. You *may* have been drinking? Isn't drinking the whole point? Kinnivie, Kininvie, Kinivie, Nintendo, who cares? It's a shack anyway, for all we know they may just store car parts in there, has anyone ever been allowed inside? I saw that interview about the 20yo and my first though was, my oh my, if they needed to wait for that long to bottle that whisky, what's wrong with it! In any case, if Kininvie is not good they'll just add 6 more stills to Glenfiddich (love their whisky by the way), add Balvenie, put a teaspoon of something else and voila the triple malt! I'm glad Monkey Shoulder is such a stickler for first-fill American oak. Of course, since it's NAS they are not committing for more than 3 years; so they have that going for them. I'm being harsh I know, I just used to love this whisky and now I feel somewhat duped. I'm sorry your experience is that it's gone down hill. I'm experimenting with old and new samples of various expressions. 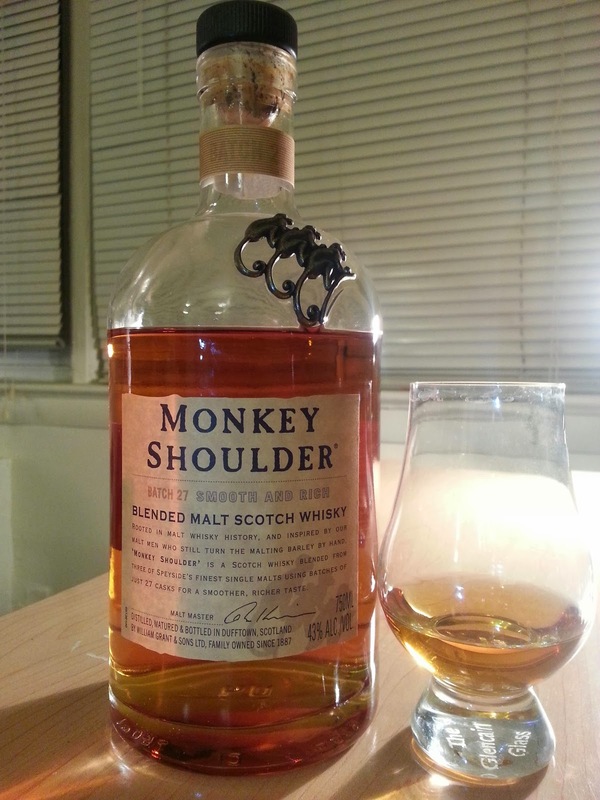 I'll try to seek out some early Monkey Shoulder to compare with the recent stuff.